Question: I found a coupon after I checked out in the store. Can you apply it to my order? Answer: Oh dear! That really is frustrating! We are sorry but we cannot alter a transaction you approved on your credit card/PayPal during checkout process in the Hysterectomy Store. 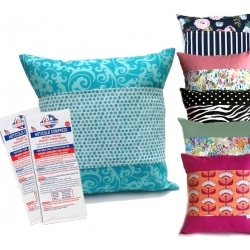 The customer must apply the coupon themselves during checkout. We simply do not have the ability to go in and alter it. We can invite you to apply your promo code during checkout or if you forgot or found it after your transaction, save it for another store purchase. 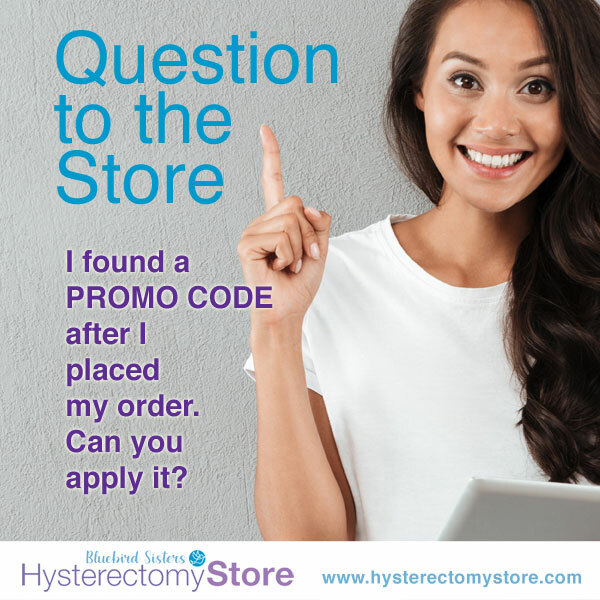 This entry was posted in Questions to the Hysterectomy Store and tagged code, discount, order, promo on February 12, 2019 by Bluebird Sisters.